Close to celebrating its 40th anniversary (in February 2017) the Centre Pompidou Museum in Paris is continuing to offer important and vibrant retrospectives of famous painters and crafters, as well as still launching many careers of less-known artists. 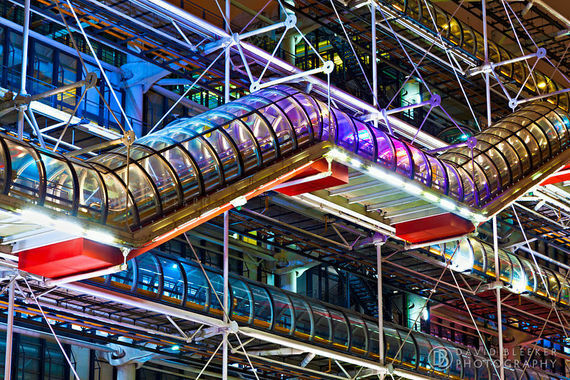 The colorful industrial-looking museum, controversial at first when it opened in the heart of Paris and made some people cry in visual pain, while others clapped in delirious support, as the building was deemed "unfinished", "shocking", "vulgar", the ugly scar in the middle of beautiful classic architectural surroundings. It stood the test of time, and 40 years later, the seven-story structure of metal and pipes stills draws controversy and very opinioned rants about its location, architectural style, and place in a city of beauty. Designed and built by architects Renzo Piano, Richard Rogers, and Gianfranco Franchini, the massive arts complex was renovated in 2000, and won the Pritzker Prize in 2007, as its jury noted that the Pompidou "revolutionized museums, transforming what had once been elite monuments into popular places of social and cultural exchange, woven into the heart of the city." 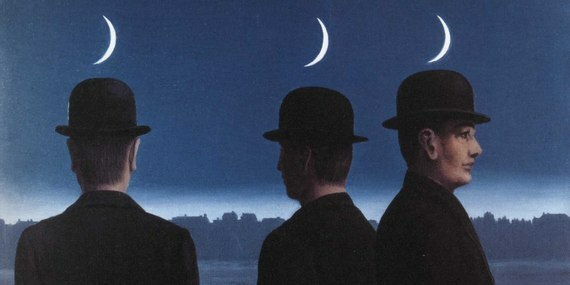 Who does not know René Magritte? 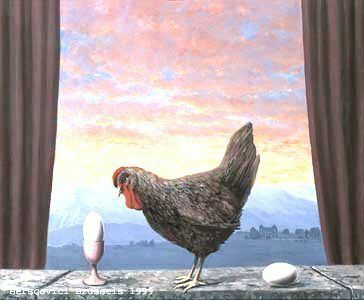 The Belgian philosopher/surrealist/manipulative artist who gave us a laugh with a chicken looking at a soft-boiled egg, or a hat without a head resting on a stiff shirt collar. Or perhaps it was a green apple face under a bowler hat, or maybe the multiple umbrella men floating in the sky above a city. Whatever it is you remember most about his art, it is surely a dream-like image, a fiction, a distortion of the senses, a naïve and elaborate visual made of everyday things and objects. 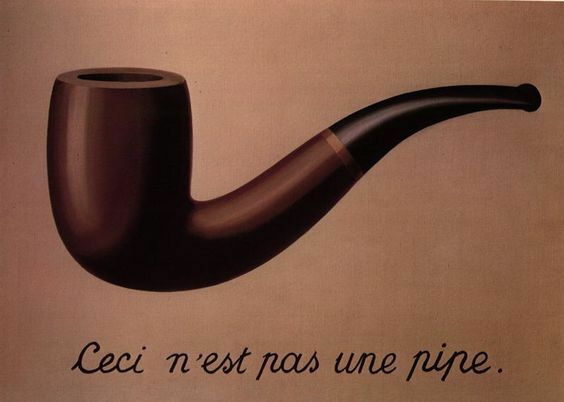 Magritte was good at that, a prince of silly matters, a master of deception and a player of subtlety. The often enchanting world of Magritte offers adults and children alike a new way to look at art - a non-serious view of what a fantasy universe would be like. Magritte and Dali were both painters of perfection in a very silly kind of style, and their polished work seduced and endure in the hearts of their viewers as cherished pieces of wonderful memories. "Magritte engaged in a sort of theoretical battle with philosophers," said Didier Ottinger, the curator of the exhibition at Beaubourg, "to prove that pictures can portray thoughts on the same level as words could." "Class consciousness is as necessary as bread, but that does not mean that workers must be condemned to bread and water and that wanting chicken and champagne would be harmful. " The exhibit runs until January 23, 2017; Tickets €11 to €14 - Free for all on the first Sunday of each month. Métro Hôtel de Ville, or Rambuteau, or Chatelet. Open every day 11 a.m. - 9 p.m. - Late nights on Mondays and Thursdays until 11 p.m. Closed Tuesdays.